Can DV Kitchen take a 3 hour job down to 12 seconds? 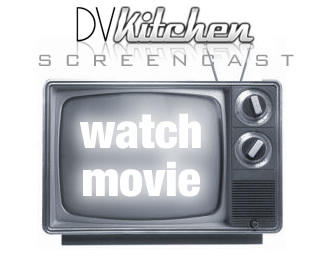 This movie shows how easy it is to encode to any size, any bitrate FLV movie, upload it, then have DV Kitchen create an entire HTML page for you with window title, page title, movie caption, and Jeroen’s FLV Player, the most popular on the web. Watch it in Jeroen’s player here.